The world’s first predictive outbound hiring solution, as the startup claims it to be, Belong is helping organisations discover, engage and hire top talents in leading organisations. Its powerful recruiting software Belong Hire is helping talent acquisition teams build data-driven capabilities to spot highly relevant candidates, and proactively engage and hire them through personalised interactions. It is currently serving the hiring needs of some of the world’s most innovative enterprises such as Cisco, Amazon, Adobe, Paypal, Boeing, Accenture, Deloitte and Tesco. Analytics India Magazine caught up with Rishabh Kaul, one of the co-founders of Belong, who started his career as a venture capitalist at Aavishkaar, investing in rural and high-risk business. Prior to Belong, he was an early member of Grey Orange, an innovative warehousing automation and robotics company, and was also a part of the founding team that set up BITS Spark Angels, an early stage angel investment network comprising of BITS alumni. Belong is typically used to hire mid to senior-level talent across engineering, product, design, data science, and marketing verticals. “Traditionally, recruitment has been an inbound process, with most solutions built to attract “applicants”. But as the research shows, candidate behavior has changed radically– high-performing and in-demand talent don’t apply for jobs, but pick up opportunities through known networks and connections, and need to be actively engaged by both talent acquisition and business leaders. Hence there is a heavy focus today on candidate experience and employer brand for companies competing in talent markets”, said Kaul. He further explained that Belong’s outbound hiring solution helps companies hire top talent by putting three things at the core of their recruitment strategy: data-driven intelligence, personalisation, and automation. “The solution aggregates and analyzes talent data from over 90 social and professional networks, and uses data science and predictive analytics to help companies engage talent most likely to move”, he said. Its engagement suite automatically enables end-to-end personalized interactions between recruiters and candidates using social insights and data. Because this is fully automated, it ensures recruiters spend almost zero time on outreach, follow-ups and coordination, and more time on productively engaging interested candidates. “Our internal research shows we can increase recruiter productivity by as much as 50% through automation and machine learning. This is largely because recruiters today spend too much time either searching or interviewing candidates who are not a fit for hiring leaders”. He added that their Adaptive Search however looks at a company’s sourcing and candidate engagement patterns, and their current and past employee data to identify candidates who are most likely their successful candidates or high-performing employees. “When this learning is fed back into search, we can reduce the time recruiters spend on search by as much as 50%”, said Kaul, who holds a dual degree in Economics & Engineer from BITS Pilani and was part of the founding batch at the Young India Fellowship. Kaul thinks that a combination of megatrends is reshaping the talent landscape and disruptive business models and new technologies are forcing businesses to evolve fast, fueling high demand for talent. But the rise in demand has been met with a shifting supply, thanks to fundamental changes in candidate behavior. For most companies today, quality of talent/hire has become a key, if not the primary metric. At the same time, talent leaders worry intensely about their brand because good talent has become more and more difficult to hire. “We believe inbound hiring is inherently not geared to address these challenges. For example, in a candidate-driven market, where top talent no longer applies, how smart is it for recruiters to “post-and-wait”? Or how will they be able to find and persuade the right talent to join? Or how will you be able to impact candidate experience when thousands are applying, and you have no way to find/impact the right ones?” he said. He explained that outbound is an approach that aligns both Talent Acquisition and business to target exactly whom the client wants to engage and how can they be engaged for maximum efficiency. Belong uses its proprietary outbound hiring technology capabilities to help firms hire top talent fast using bleeding edge technologies that thrive on artificial intelligence, big data and machine learning. Co-founded by a team of four, before Belong, their founders shared a challenge – hiring amazing people to build great teams at companies like Exotel and GreyOrange. As they spoke to several talented but discontented people, it became clear that there was a mismatch between passionate people and the places where they worked. “This stood in the way of them finding satisfaction in what they did and unlocking their true potential. While Belong has four co-founders, we believe that the collaborative effort of our team is what truly makes us who we are”, said Kaul. 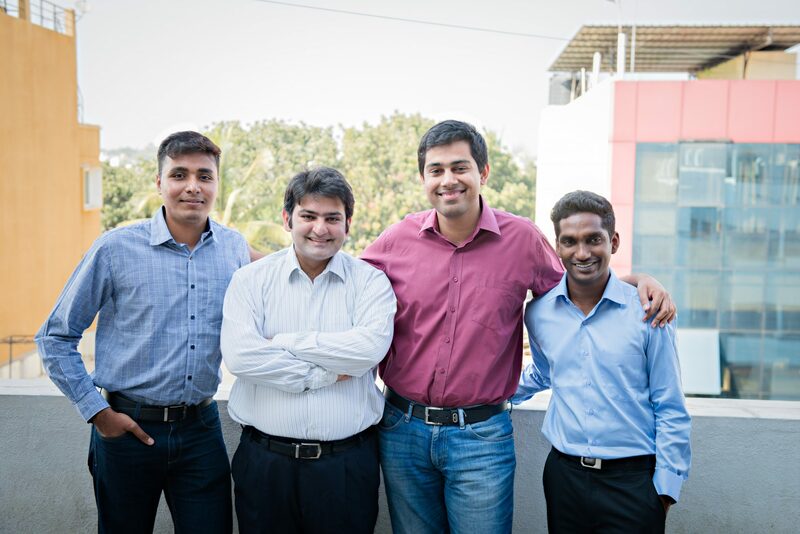 Other than Kaul, the founding team include Vijay Sharma, who is the CEO and co-Founder. Prior to Belong, he co-founded Exotel – South East Asia’s largest VOIP Telephony company. He was also being an early member of Practo. Sudheendra Chilappagari is the co-founder and Head of Product. An alumnus of BITS Pilani, he was a part of the sales team at Instamojo. He watches, nurtures and is in charge of scaling our product roadmap. Saiteja Veera, runs the platforms team at Belong and is responsible for ensuring that their platform can be used by multiple teams internally to build products that solve complex problems at scale. Sharma’s journey in building Practo & Exotel, as their marketing head, also led him to spend a substantial amount of time hiring candidates. While doing this, he immediately understood the pain points of a recruiter in trying to find the right fit for a role. He eventually collaborated with Chilappagari, who was then interning at Exotel, to conclude that what a recruiter does manually in a hiring process could be automated with much ease and could eventually be made into a product. This experience resulted in the idea of Belong, which was started in the year 2014. “From day 1 at Belong, we’ve always wanted to make people belong. To achieve this end goal, we’ve faced multiple challenges across the product, marketing and analytics functions. We’re huge fans of Geoffrey A. Moore’s Crossing the Chasm and have used it as our Bible to build and scale Belong”, said Kaul. “We’ve always wanted to stick true to our premise that as humans are not meant to be resources. We are Human Beings with real aspirations, and we are meant to belong – especially with people and in places we spend almost 70 percent of our lifetime, working. Call us crazy, but we believe for any two people to connect and build something together — be it a company, a social movement, or even a revolution — it always requires them to connect on something deeper and more lasting than “skills”. Their values and their culture must fit. If there’s anything, the two must truly feel that they belong together. Building and staying true to the above philosophy along with aligning closely to one of our company values “being better than yesterday” are things that constantly challenge and motivate us”, he added. Being funded by the likes of Raju Reddy, founder of Sierra Atlantic, Phanindra Sama, co-founder of redBus, Kunal Bahl and Rohit Bansal of Snapdeal, among others as angel investors and Sequoia Capital, Matrix Partners and Blume Ventures as institutional investors, they have raised a funding amount of $15 Million including Series A and B funding. Boasting a list of 100+ customers, some of their major clients include Amazon, Paypal, Adobe, Cisco, Boeing, Thoughtworks, Deloitte, Accenture.